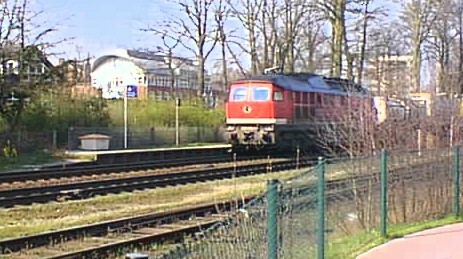 A Soviet-built "Ludmilla" (DBAG's Baureihe 232) hauling a goods train through Bargteheide towards Hamburg. 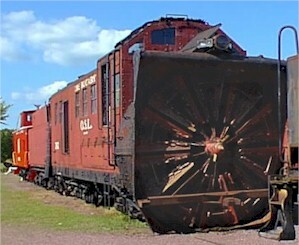 See also the "Taigatrommelpage" (Taiga Drum page). 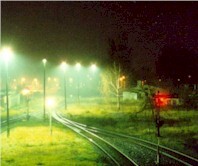 Train station at Bargteheide. 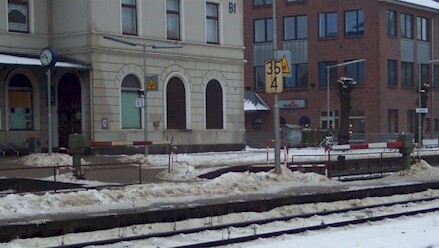 The gates secure the way to the island platform across the main tracks. 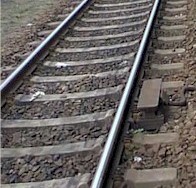 An Indusi track magnet (DR style, made by VEB Geräte- und Reglerwerk Teltow). 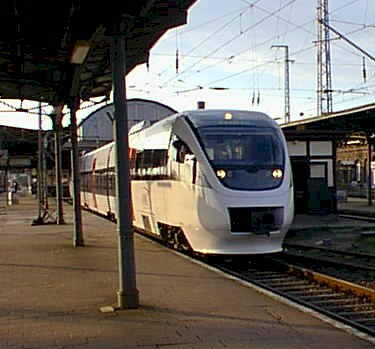 The Indusi is also in use in Ottawa's O-Train. 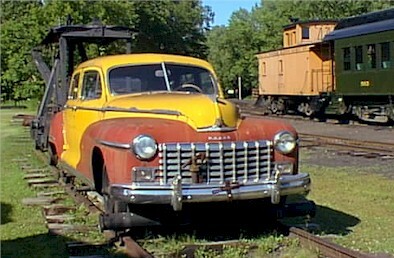 A snow plough at the Mid-Continent Railroad Museum at North Freedom, Wisconsin. 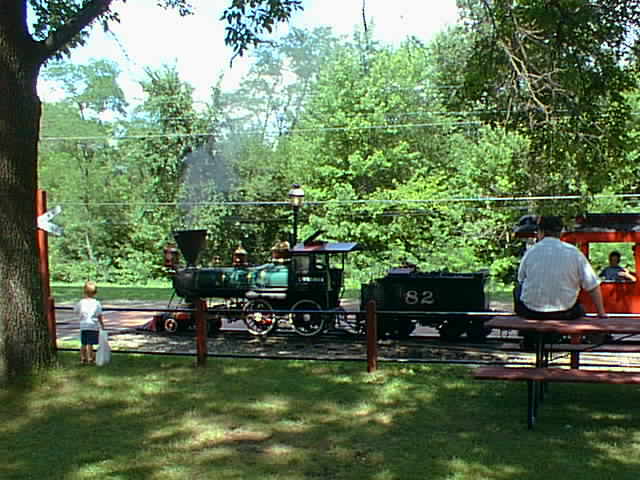 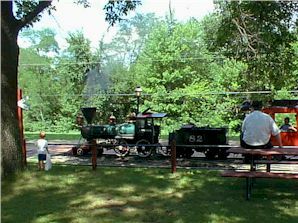 A real 15" gauge steam train with real passenger coaches at the Riverside & Great Northern Railway at Wisconsin Dells, WI.